January not only marks the beginning of a new year but also the start of winter semester. Now is the perfect time to explore the opportunities that await you at Ryerson and around Toronto. Kick off 2018 by attending events and celebrating new interests. Start with this listing of six events to take a look at in January. If you’re stressed about the new semester, let loose with Ryerson’s Free Demo Week. From Jan. 15 to 21, everyone can take part in Group Fitness and Instructional Classes at the RAC and MAC, depending on where the classes are located. Dance, exercise and relax to your heart’s content! Check out Ryerson Recreation’s website for more information on the schedules. 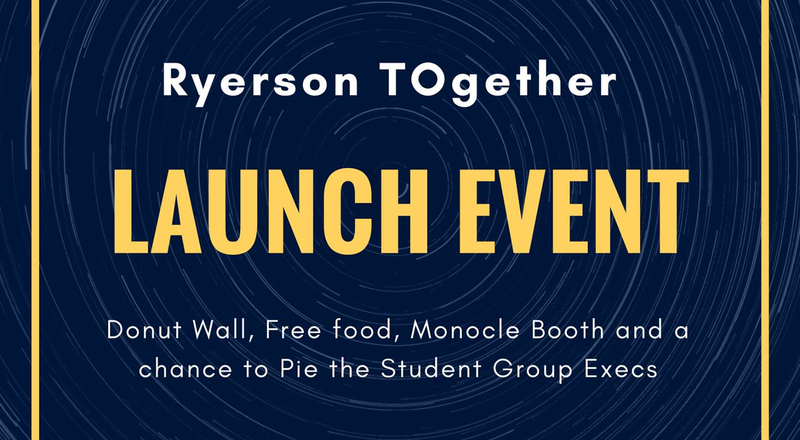 On Jan. 17, Engineers Without Borders Ryerson will hold the launch event for Ryerson TOgether, a new initiative focusing on homelessness in the Greater Toronto Area, at the SLC Amphitheatre. Don’t miss the opportunity to pie student group executives. If that doesn’t intrigue you, there will also be food from Salad King and a Donut Wall. More information about the initiative and its launch can be found on the event Facebook page. Revel in the wonder of the Toronto Light Festival while it showcases lighting works at the Distillery Historic District. Starting Jan. 19, the area will be illuminated with sculptures and installations. The festival will end on Mar. 4. For more information, take a look at the Toronto Light Festival website. For those of you who need a break from winter weather, check out the indoor Toronto International Boat Show at the Enercare Centre. Take a look at the numerous boats on display and have a blast with the water activities available, such as wakeboarding lessons. The show is already underway and will run until Jan. 21. General admission tickets cost $20. Say hello to skate parties. If you don’t have anything to do Friday nights, bring your family or friends to The Bentway for Beats and Bents. From Jan. 12 to Mar. 2, you can skate every Friday night to two DJ sets. Take a look at The Bentway’s website for more information. End the month by immersing yourself in the world of slam poetry. Come watch the second round of Toronto Poetry Slam’s semifinals at the Drake Hotel on Jan. 28. You will also have the chance to enjoy the poetry of Paul Tran from New York City, who is the poetry editor at The Offing. The cover price is $7. Which events are you looking forward to checking out this month? Comment below or tweet us @RUtvNews!